Family Meal Just $29.99 At Boston Market! 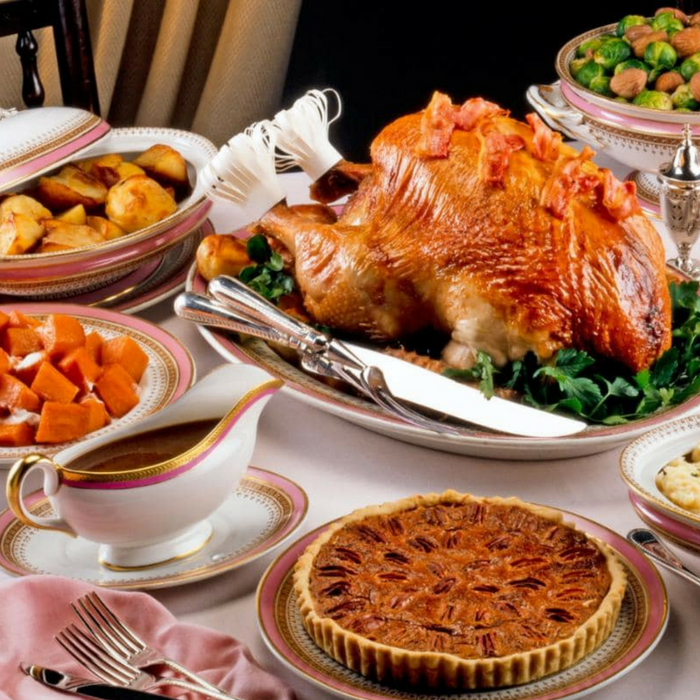 You are here: Home / FREEbies / Family Meal Just $29.99 At Boston Market! Until May 28 only! 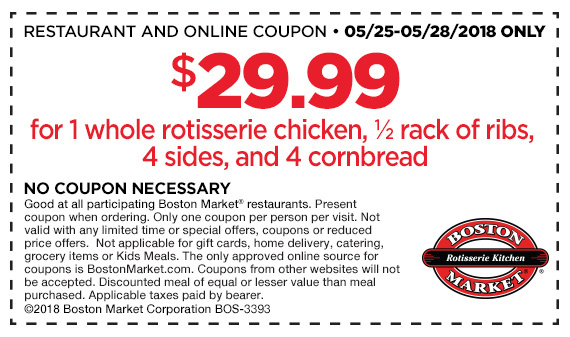 Participating Boston Market restaurants are offering a Family Meal for just $29.99 as a Memorial Day Weekend Offer! This includes 1 Whole Rotisserie, 1/2 Rack of Ribs, 4 Sides and 4 Cornbread! All you need to do is present this coupon when ordering. Please note that there’s only 1 coupon per person per visit. What a perfect day to go out with the whole family!